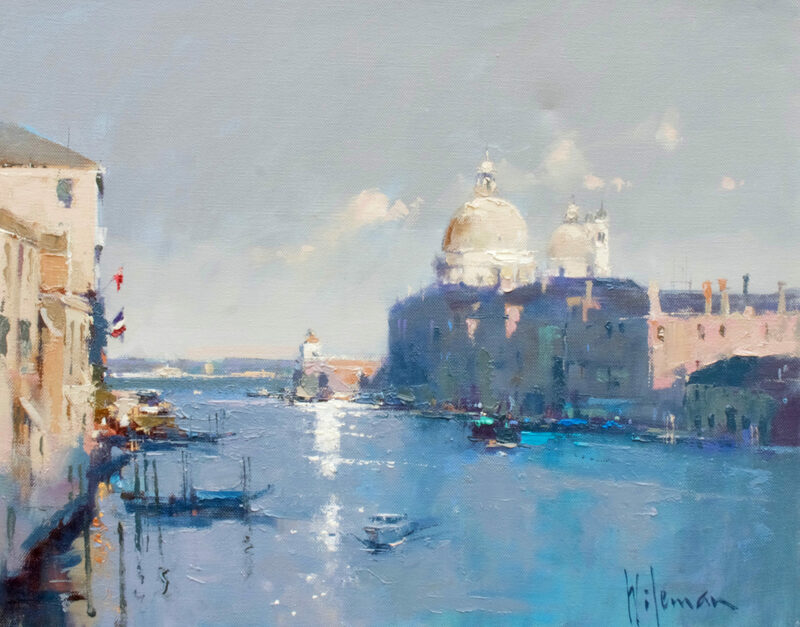 Peter Wileman is the Past President of the ROI (Royal Institute of Oil Painters). 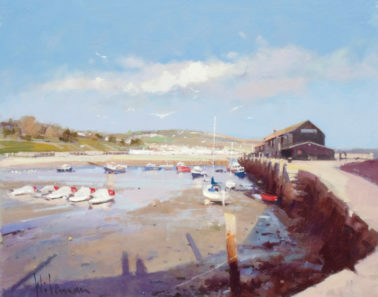 He is a Member of the Royal Society of Marine Artists and also a Fellow of the Royal Society of Arts. 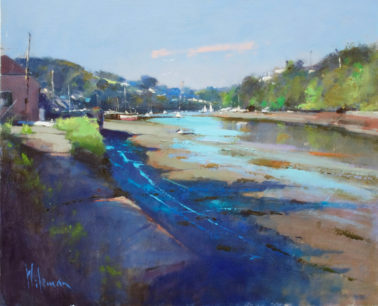 Having worked in the field of art and design for over forty years, Peter’s style is bold and vigorous, both in his use of colour and his handling of paint, as he explores the effect of light on his subject. 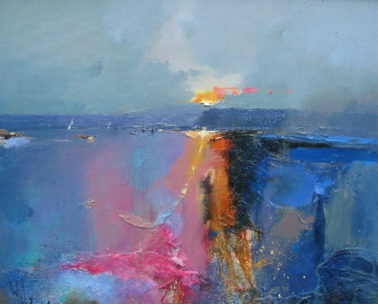 Seeking atmosphere through light and colour, Peter works in varying degrees of abstraction. 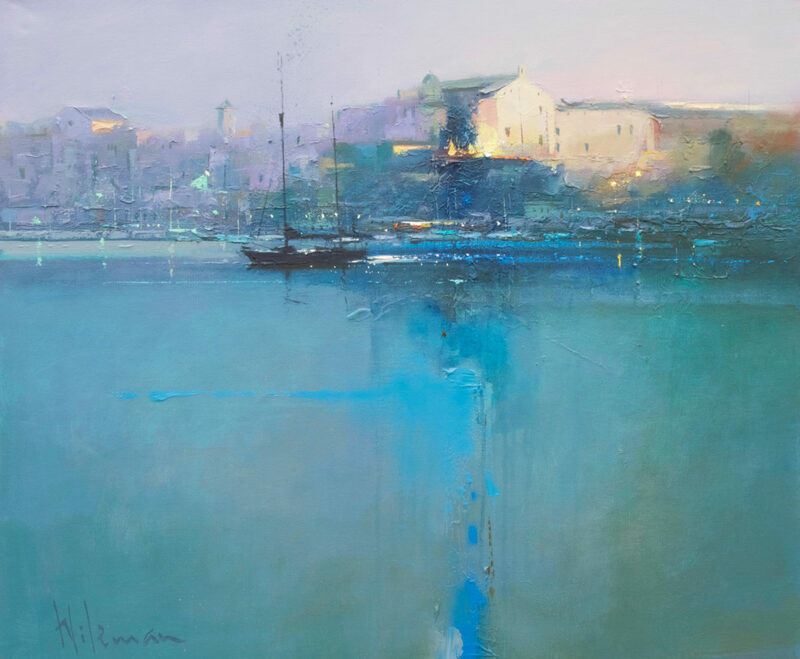 He has won numerous awards for his paintings including: The Frank Herring Award in 2000; The Cornelissen & Son Award in 2003 ; The Clerc Fowle gold medal in 2006 and The DAS Prize in 2007. 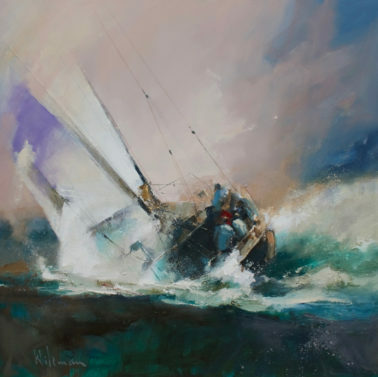 He also won The Charles Pears Award and The Stanley Grimm Prize in 2010 and The Dartington Crystal Chalice in 2012. 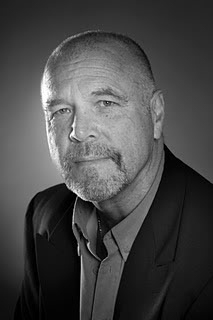 Peters paintings can be found in private collections worldwide and his works have been shown on television and in publications including the: Painting the Light in Oils DVD released in 2008 by Townhouse Films; Inspirational Oil Landscapes DVD released in 2010 by Townhouse Films and the book Painting Light in Oils published by Anova, 2011. 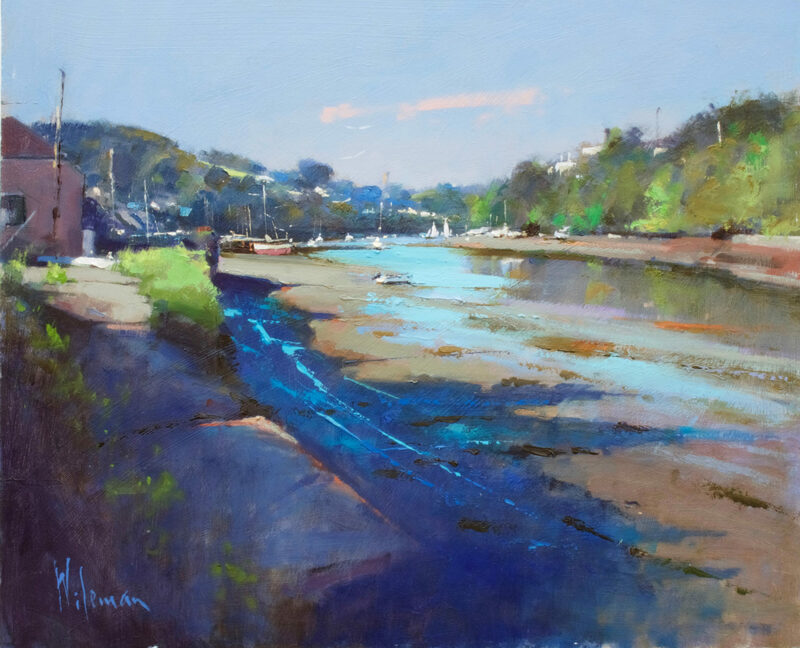 Peter is currently on the Board of Governors and is a Trustee at the Federation of British Artists at the Mall Galleries London.